A British woman detained in Dubai due to insults posted by her on Facebook may soon have the charges dropped against her, after the complainant has said she is willing to withdraw the case. Laleh Shahravesh, 55, was arrested at the Dubai airport on March 10 when she landed in the city. She said she travelled to Dubai along with her 14-year-old daughter to attend her former husband’s funeral. He died of a heart attack on March 3. Shahravesh was detained in the emirate due to a complaint lodged against her by her former husband’s wife, Samah Al Hammadi. Al Hammadi, who married Shahravesh’s former husband Pedro Manuel Coreia Dos Santos after his divorce, told The National that she was subject to “constant harassment and abuse” on social media. “She [Shahravesh] has used vicious abuse and offensive language to harass both of us, causing us extreme distress and mental torment,” she told the paper. “In these circumstances, my husband and I were forced to file a case with Dubai Police to seek protection against her extremely vile actions,” Al Hammadi said. The police case in Dubai was filed against Shahravesh – who lives in the UK – in February 2017. However Al Hammadi said she was willing to drop the charges. “I am pursuing this case because I believe it is my duty to honour my late husband and protect him from further defamation. One of the last messages he tearfully gave me before his death was that he deeply loved his daughter. I am willing to withdraw this case to honour my husband’s love for his daughter,” she said. If found guilty under the UAE’s cyber crime law, she could face two years in jail and a hefty fine. 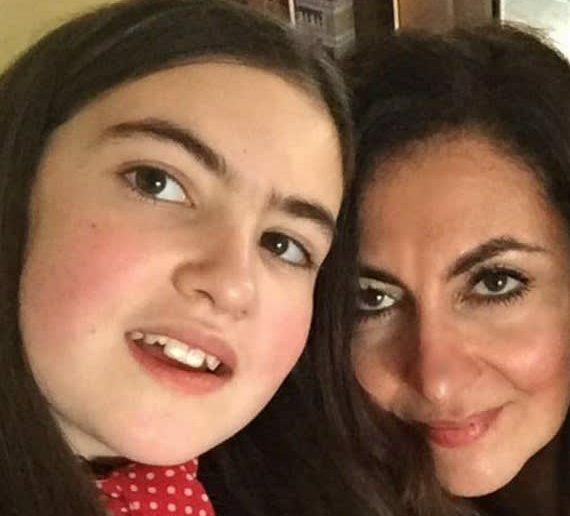 Shahravesh’s 14-year-old daughter, Paris – who has since returned to the UK – has written to Dubai’s Ruler Sheikh Mohammed bin Rashid Al Maktoum pleading for her mother’s release. The case is currently being examined by prosecutors.